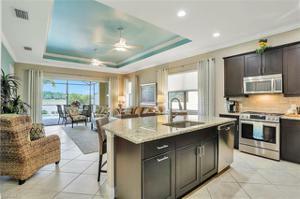 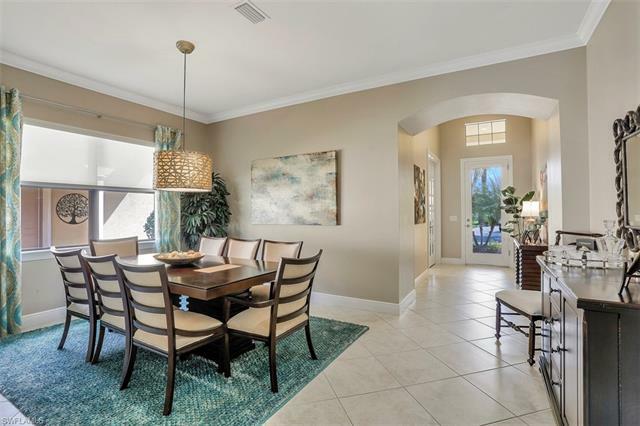 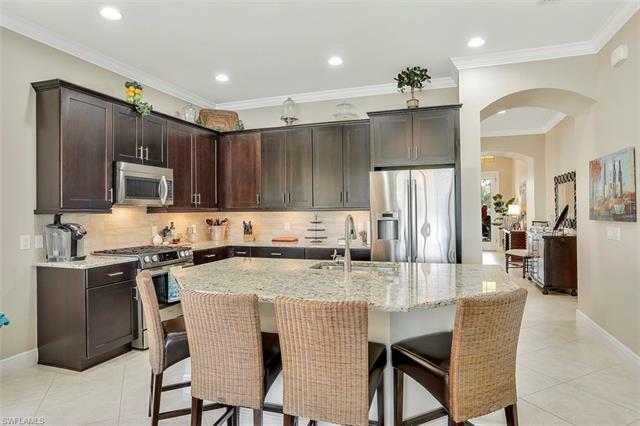 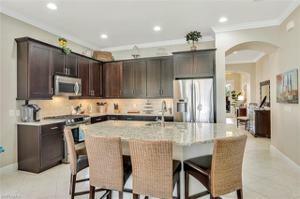 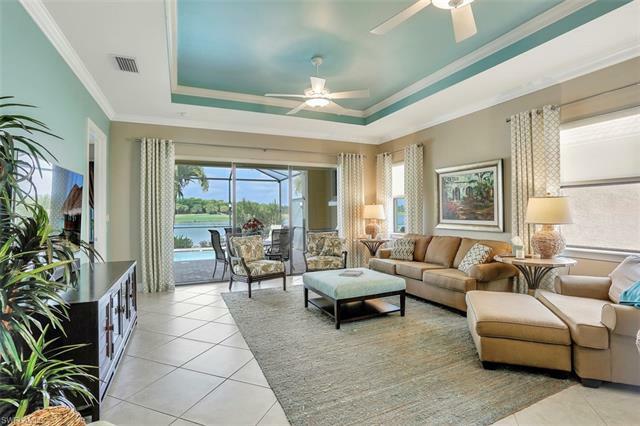 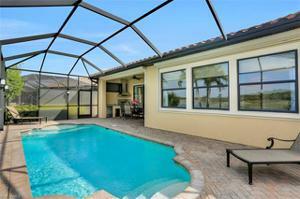 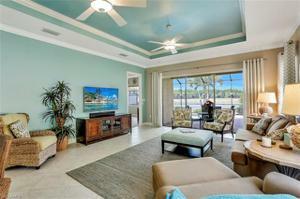 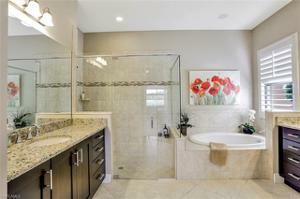 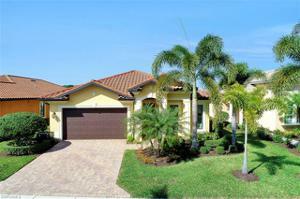 BEST DEAL ON A TRUE 4BR+DEN 3 BATH 1 LEVEL HOME IN MIROMAR LAKES!! 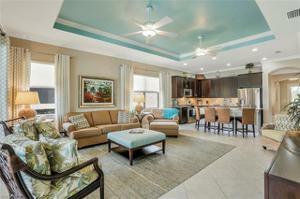 Exquisitely furnished & appointed 2014 built home! 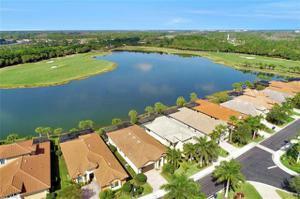 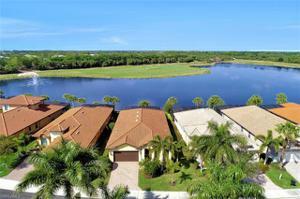 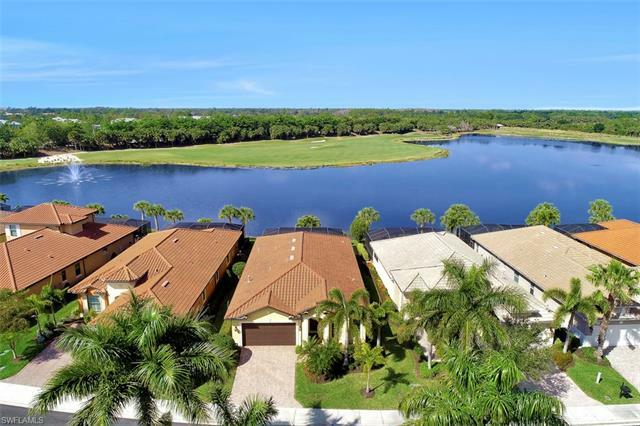 Awesome million dollar view of LARGEST pond in Miromar & the 4th & 6th holes of the golf course! 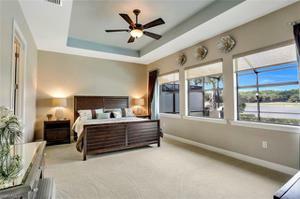 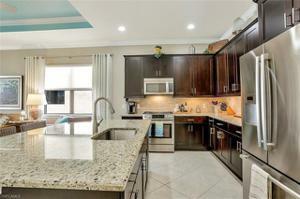 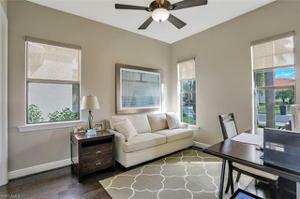 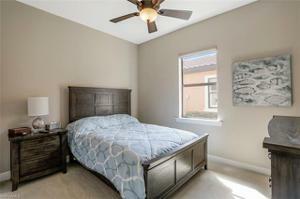 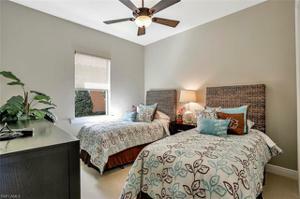 Offered fully furnished with high end finishes, Stainless Bosch french door frig & 5 burner gas stove. 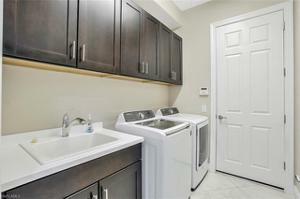 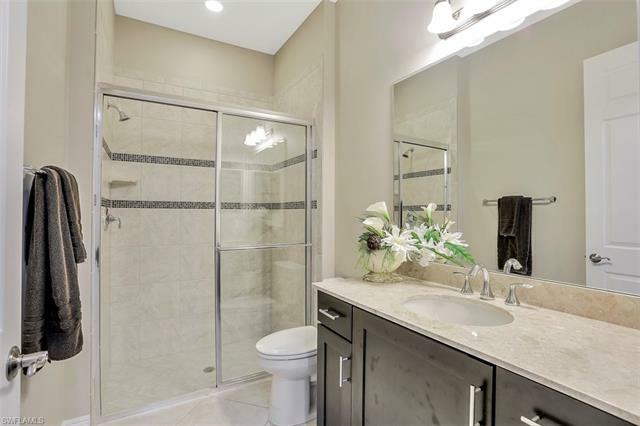 Large single sink, soft close tongue & groove cabinetry with top & bottom crown molding. 20 inch diagonal tile thru out except 3BR's, 4th has wood! 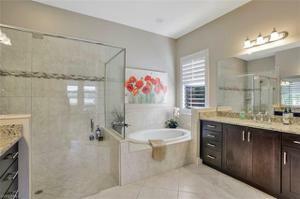 3 full baths. 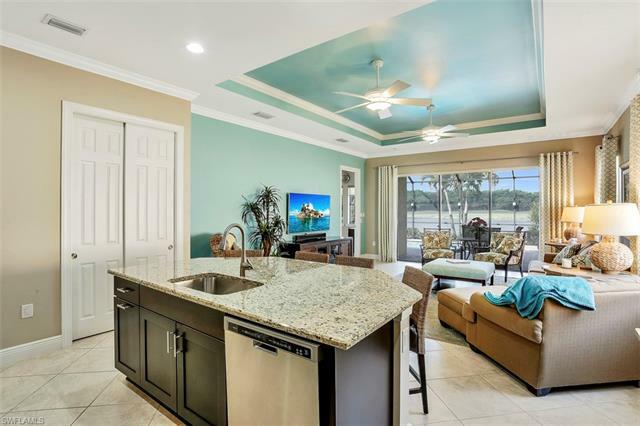 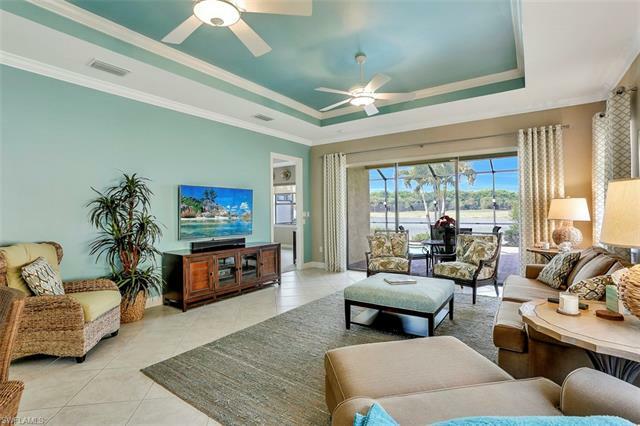 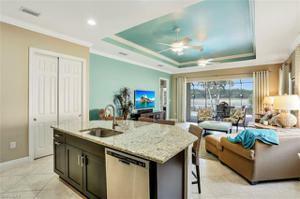 Current style open floor plan with island kitchen, flex room/den/formal dining room, Summer kitchen with frig, sink, natural gas grill! 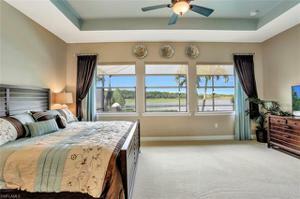 Electric shutters on lanai, front door & more. Low E insulated glass all windows and sliders, privacy screened pool cage, gas heated roman end pool with ever changing colored lites, monitored security system w motion detectors. 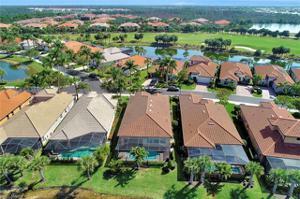 Xfinity voice command cable TV & high speed internet, landscaping, community patrol & more included in HOA fees! Full access to Miromar's Ritz like resort amenities. 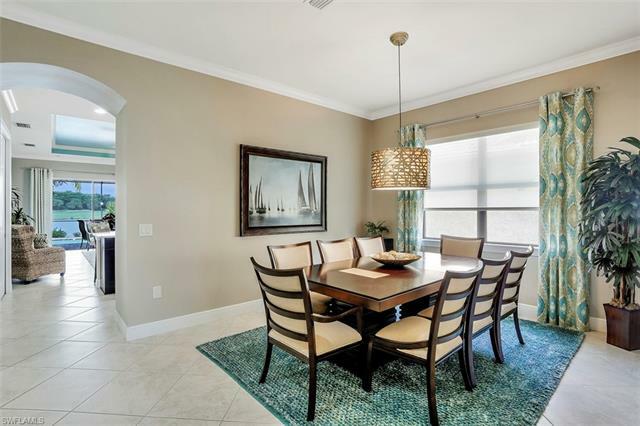 Superior location within less than 10-15 minutes to airport, Coconut Point, Miromar Outlets, Gulf Coast Town Center, Hertz Arena, 24 theatres & more!